Can Using a Secured Card Really Help Rebuild My Indiana Credit? If you’re suffering from past credit mistakes and are trying to repair your credit, one option you may have heard of is the secured credit card strategy. 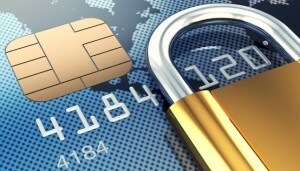 Secured credit cards are real credit cards and work just like traditional unsecured credit cards. The only difference is that before you can open a secured card, you must first make a cash deposit with the issuing bank, which will then issue you a card with a credit limit equal to your deposit. For example, if you want a credit card with a $250 credit limit, you’d need to make a cash deposit of $250 with the bank or credit card issuer. Your cash deposit acts as a guarantee and protects the bank or credit card issuer in the event you are unable to pay the bill and you default. You’ve “secured” the lender’s investment with your cash deposit, and now you have a credit card. Because the cash deposit acts as a kind of insurance of sorts, qualifying for a secured card is much easier than qualifying for a traditional unsecured credit card. This is one of the reasons why secured cards are marketed as an option for establishing and rebuilding credit reports and credit scores. Almost anyone can qualify for a secured card as long as they have the cash for the deposit — regardless of whether they have bad credit, no credit at all, recovering from a bankruptcy or divorce. When it comes to secured cards, there’s a big difference in how much value they provide for consumers who are looking to establish credit for the first time versus those looking to rebuild their credit. And, we believe that the value has been slightly oversold relative to their credit rebuilding benefits. With secured cards, as long as you have the cash, you’re pretty much guaranteed an approval. You’re essentially buying the account. And as long as the credit card issuer reports the account to the three major credit reporting agencies Experian, TransUnion and Equifax (which you should verify first with the issuer before you open the card), you’ll establish a credit history almost immediately. After six months you’ll have established a FICO score due to FICO’s minimum scoring criteria. It only takes one account that’s at least six months old and one account updated within the past six months in order for a FICO score to be calculated. VantageScore’s minimum score criteria is even more liberal than FICO’s so if your credit reports can be scored under FICO’s scoring systems, they’ll certainly be scoreable under VantageScore’s scoring systems. For consumers suffering from poor credit caused by serious delinquencies or bankruptcy, a secured credit card isn’t going to miraculously repair your credit and suddenly offset the negative credit damaging information that’s already occurred. Adding a new, positive credit account will help you improve your credit more quickly than if you did nothing at all, but it shouldn’t be viewed as an instant cure to fixing all your credit woes overnight. If you’re planning to open a secured card for the sole purpose of rebuilding your credit, you’ll want to manage the account impeccably to get the most benefit. This means making all of your payments on time and keeping your balances to an absolute minimum (10% of your available credit for best results and absolutely no more than 30% ) . Secured cards typically carry low credit limits so even a few minimal purchases can easily run up a balance and negatively impact your balance-to-limit ratio. There is value to adding a new, positive account to your credit reports, but it may take six months or so before you see any significant improvement. The bottom line: Be realistic with your expectations when using the secured card strategy to improve your credit. They’re great for establishing credit but not the only choice for rebuilding credit. You want to mix it up with other types of credit; a secured card is just one way towards rebuilding credit.